In this post, I'm setting out to educate you about the amazing potential of something you already have access to (and probably resent): Your Gmail account. 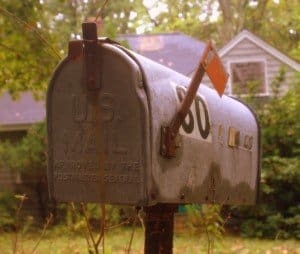 Ever since I got a Gmail account in the spring of 2004, I’ve been helping spread the word about what I think is the best email service under the sun. A lot has changed since the days when you actually had to get invited to create a new account by someone who already had one, but one thing has stayed the same: Gmail breaks the email paradigm. What is the email paradigm? In short, it’s the idea that we should handle email the same way that you deal with paper mail. File important things in folders. Throw out the unimportant. Only keep what you absolutely must because you don't want to run out of space. Unfortunately, if you receive more than 15 emails a day, you know how quickly this system gets overwhelmed. That’s where Gmail offers a new approach to email. When you approach Gmail with the old email paradigm, you get very similar (dismal) results. Through interacting with clients, readers, and participants in my Inbox Zero Training Program, I’ve realized that most people need to re-learn some things about email so that they can use Gmail the right way. In fact, when I run into people who say they don’t like Gmail, it’s usually because they don’t understand these core principals. And hey, it's not their fault. No one ever told them anything was different, Google included. Buckle up, because we are about to break your email paradigm. When you get an important letter in the mail, what do you do with it? Most people would file it in a folder, or somehow dispose of it. When we approach folders in our Gmail Inbox, we make the mistake of assuming that they behave the same way as the ones in your filing cabinet. In Gmail they aren’t even called folders, and it’s for a good reason. In Gmail, folders are called labels. The key difference between the folders in your filing cabinet and the labels in Gmail is that you can assign more than one label to an individual email. Example: When I receive an invoice from my web host, Blue Host, I label the email as Expenses and Web Host. This email now lives in two places- the Expenses label and the Web Host Label. So when I click on the Expenses label from the side-bar of Gmail, that message from Bluehost will be there. But it will ALSO be in the Web Host label when I go there. This is not a duplicate message. It’s the same one message that has been given two separate labels. Try doing that with folders! Yes, like those little yellow sticky notes you affix to everything from your fridge to your computer monitor. Pretend you had an important piece of paper. If you put that piece of paper into a folder, it could only be in that one folder. You could put it in a different folder, but that would involve removing it from the first. However, if you affixed a sticky note to that important paper, it would be there. You could affix a second sticky note to that same paper and they would both be there. That's a lot like how labels work in Gmail. They take the place of folders from your old email service, but they really behave more like sticky notes. You need to stop thinking of your email inbox as a physical space. Just like folders don't really exist in Gmail, neither does your inbox. How is that even possible? In Gmail, your inbox is just another Label. It's a special label, though. Any new mail that comes into your account (unless otherwise directed) automatically gets the Inbox label. Get it? Inbox = a label. This is important for later. Now is a good time to introduce you to your new best friend: The Archive. The “Archive” is another non-place in your Gmail world. Your archive contains every message sent or received from your Gmail account, regardless of what label or labels those messages have. So that means messages from your inbox will also show up in the archive if you choose to look at it. Everything is in there except for messages you've specifically moved to the trash. You can get to your archive by clicking on the All Mail folder in Gmail. You also see messages from your archive any time you perform a search. If you only take one thing from this article, this is it: When you click the Archive Button, all that does is remove the inbox label. One more time: The archive button in Gmail could also be called the “remove the inbox label” button. This is incredibly liberating, because this enables you to get messages out of your inbox without having to organize them into any specific label. In the old email paradigm, we had to obsessively categorize and file emails because otherwise we'd never be able to find them again. But since searching for messages in Gmail is so simple and fast, you can just click the Archive button when you've finished reading a message. When you archive a message in Gmail, you haven't deleted it. You've simply removed the inbox label. If you haven't applied any other labels to the message, then it's just sitting their in your archive. Under the old email paradigm, you would leave a message in your inbox until you either filed it into a folder or deleted it. In Gmail, you can archive a message as soon as you're done with it. This will be the majority of the email you receive- things that you don't necessarily want to delete, but don't warrant creating an individual label for. It's been almost 9 years since Google released what may be their most popular product since search. Yes, Gmail debuted in March of 2004, and people have been flocking to it ever since. I can remember there being a lot of buzz about Gmail from the very start, and when I finally got my beta invitation, I was not disappointed. Gmail promised to reinvent the way we use email- with the seemingly limitless “archive” that meant we'd never have to delete (or risk losing) a message again. And while I believe that Gmail has delivered on its promise of reinvented email, they failed to educate their users on how to use approach their new service. Seemingly, the only thing that Gmail enables for most people is the ability to leave every message they've ever received in their inbox and never have to organize anything. If you've ever operated on the “everything in the inbox” methodology, you know that it's akin to the experience of swimming in a rough ocean and getting pummeled by wave after wave of cold salty water. This article just scratches the surface of what's possible with Gmail. Did you experience any revelations when you switched? Are you still trying to figure out how to put these features to good use? Share your thoughts in the comments- all questions will be answered!